The Calgary Flames can’t catch a break. 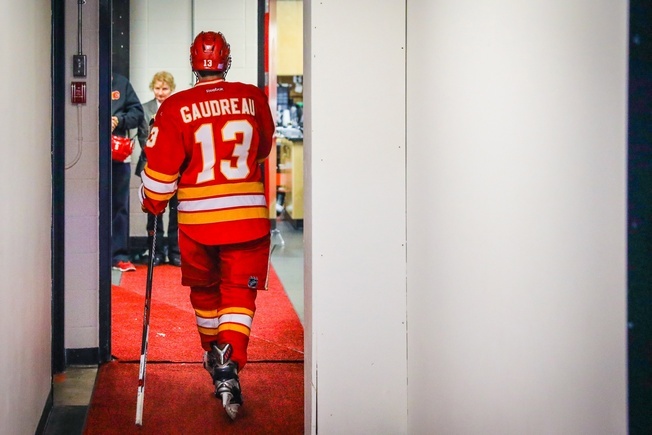 News broke on Wednesday morning that Johnny Gaudreau was set for surgery on a broken finger he suffered on Tuesday against the Minnesota Wild and there is currently no timetable for his return. Gaudreau took repeated slashes to the hand from Ryan Suter and Eric Staal and headed to the locker room in the second period to get checked out. After taking another slash from Staal in the third, he was done. Gaudreau has 11 points in 17 games, including five goals and six assists, but he’s a minus-10. The 23-year-old tied for sixth in NHL scoring last season with 78 points in 79 games and many have said that he’s off to a slow start, but the same should be said for the entire Flames roster. The team is 6-10-1, good for fifth in the Pacific Division. The absence of Gaudreau means other players will have to step up, of course, and Matthew Tkachuk has to be at the top of the list. The 18-year-old has six points in 13 games so far and could see a promotion to the top line, as well as some action on the power play alongside Sean Monahan. But make no mistake about it, the Flames are in tough with this news and the loss of their leading scorer won’t be easy to overcome.